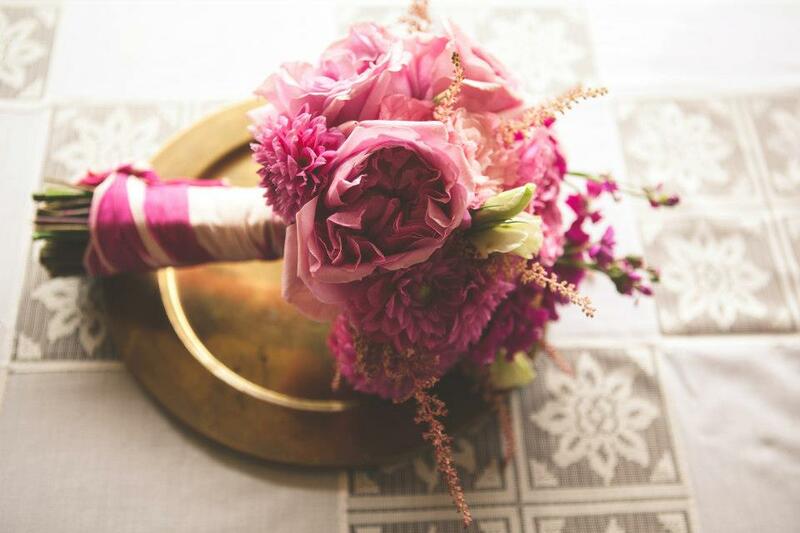 Daisy Stone Studio is a brand new, long-time-coming venture by a girl who's been designing floral arrangements and organizing gorgeous events for years! When I met Susie Agrillo over coffee and tea at Dottie's in Pittsfield, I immediately sensed that she was quite possibly the nicest person I've ever met and knew that I had to have her on the Berkshire Wedding Collective! Read on to find out more about this sweet, talented gal! Susie: I lived in San Francisco for almost 4 years and took my first flower class back in 2007, however I was too afraid to leave my 9-5 job at the time so it wasn't until years later, in 2011, that I finally made the courageous leap into the creative world in New York City. Susie: As I was creating a Cherry Blossom arrangement on site and had the Father of the Bride come up to me and say, "Oh that's just so her. She's going to love this." Normally, its the Mothers and Brides that get excited about the flowers. To have a Father feel so moved by my work was a wonderful feeling. I could tell it was one of his happiest days. Tara: What is your ideal Friday night? Susie: A nice, long dinner out with my husband- Cocktails, Appetizers, Wine, Dinner, Dessert- the whole nine! And great conversation- dreaming big, scheming our next project or adventure. Tara: What is something you like to do during your free time? Tara: When you travel what do you like to do (adventure, relaxation, food, etc.)? Susie: All of it! I tend to lean towards relaxation and food by my husband gets me out on adventures--he's a rockstar! Susie: My dad always told me, "The finest steel goes through the hottest fire." So true. Tara: What is the last movie you saw in theaters? Susie: Deep Sea Fishing in Alaska! I'm headed there soon. I'll let you know how it goes! Tara: What is a life memory you recall frequently and why? Susie: My Grandfather use to sing to me this 1920's song "If you knew Susie like I knew Susie, oh, oh, oh what a gal". He was a special man. He worked hard but was a man of leisure as well. He loved his family and he loved his work. He understood what life was all about. I think about him often. Tara: Tell me something most people don't know about you. Susie: I'm actually a bit competitive and feisty despite my sweet demeanor and love for flowers. I even played soccer in college. Tara: What is one thing you'll do this year to step outside your comfort zone? Susie: I'm planning on a million things! Larger scale weddings, new events like music festivals and saying YES more. This is going to be a really exciting year for me!